General guide for Referencing and avoiding plagiarism: What is Plagiarism? Plagiarism Goblins have taken over the college, and it's your job to stop them! Created by Snowden Library, Lycoming College. 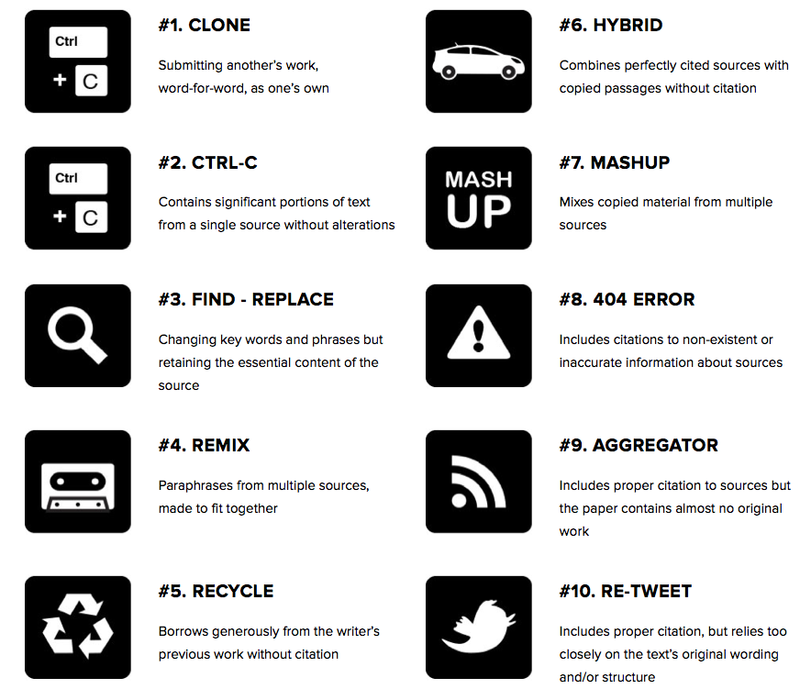 The 10 most common types of plagiarism and are ranked in order of severity.